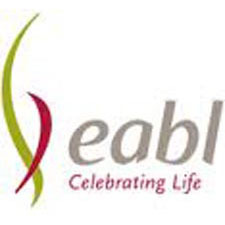 East African Breweries Limited (EABL) is East Africa's leading branded alcohol beverage business with an outstanding collection of brands that range from beer, spirits and adult non-alcoholic drinks reaffirming our standing as a total adult beverage company.. With breweries, distilleries, support industries and a distribution network across the region we deliver the highest quality brands to East African consumers and long-term value to East African investors. We constantly invest in innovating and renovating our brands to stay at par with dynamic consumer trends. This goes hand in hand with our Vision to be the most celebrated business in Eastern Africa.